The product is a freeware to open and read SQLite database files on Microsoft Windows operating system. The SQLite Viewer works with corrupted as well as healthy SQLite files of the server. The freeware enables users to read data from SQLite files. It does not requires any supportive application or the server connection to fetch out items from the browsed files. The software is workable with corrupted as well as healthy SQLite files without any complications. SQLite database reader for free enable users to preview all the items of SQLite file. Tables, indexes, triggers, etc., all will be loaded on the viewer panel and users can add file of unlimited size in this program. It is the responsibility of freeware to manage items comprising of all elements. The software works for scanning as well as data recovery purpose of several data file types. It supports SQLite files having .db, .sqlite, .sqlite3, .fossil, and .db3 extension. Free utility can extract data from SQLite files of all platforms including Android too. It is quite obvious that database files comprises of the bulk amount of data within it. Therefore, SQLite file Reader offers a feature of searching through which users can analyze only the desired data. Users just need to mention the related phrase of desired items and rest freeware will work on its own. The tool deeply scans the added SQLite file and fetches data from it. Just after the scanning completion, the fetched data gets uploaded on the reader panel where one can analyze entire file data. 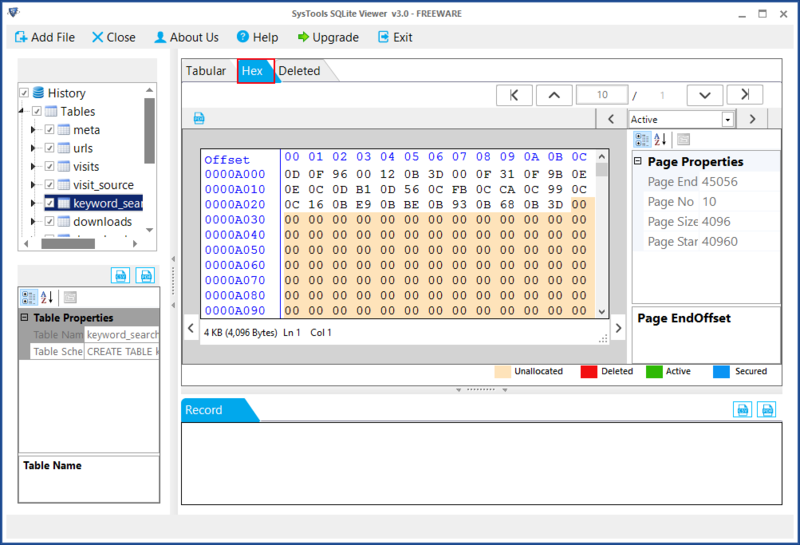 The tool displays all the related components of the file without any single change. Just after adding the SQLite file in the software, tool starts scanning the file. The current status of the scanning procedure can be viewed by end users. Database name, total number of items scanned, and percentage of amount of database scanned, is displayed in this live status report. There are chances that an individual has not noticed this that he / she is using the SQLite file in his / her daily life. In technical aspects, a SQLite file is compared with the client or server SQL database engines, which involves Oracle, MYSQL, etc. Well, the file is majorly focused upon the storing of data on local machine, which is for different programs and devices. Now generally for forensics purpose, a question arises that how to view SQLite file? 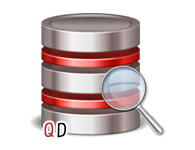 A simple and an absolutely free answer to this question is QuickData SQLite File Viewer. The software renders a systematic solution to explore SQLite database on local machine. 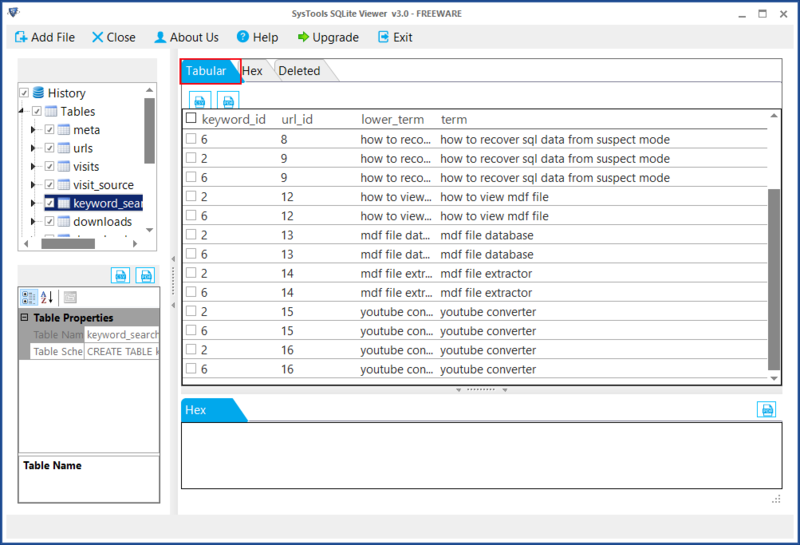 It also repairs corrupt data file with feature to preview tables, triggers, views, etc. All items with their respective attributes will be displayed in this viewer app. Step 1: Go to Start > All Programs > Sqlite Viewer. Hit Add File button to add the SQLite file. Step 2: You can select the type of SQLite file, you want to view. Step 3: You can preview the SQLite file in right panel and tree structure in left panel. Step 4: You can view the deleted data of particular tables in a separate Deleted Tab. Step 5: Hex tab helps you out in analyzing the emails in binary format. The complete report of the message is displayed in Record Bar. Step 6: The tool provides color scheme to differentiate the Unallocated, deleted, active and secured data. Does your software provides any feature to save the items present in SQLite file? No, this freeware does not renders option to save fetched items on the local machine. You need to purchase full licensed version of SQLite viewer to do the same. Is your free software capable of working with SQLite file, which displays error on opening? Yes, the errors are caused due to corruption in the file. 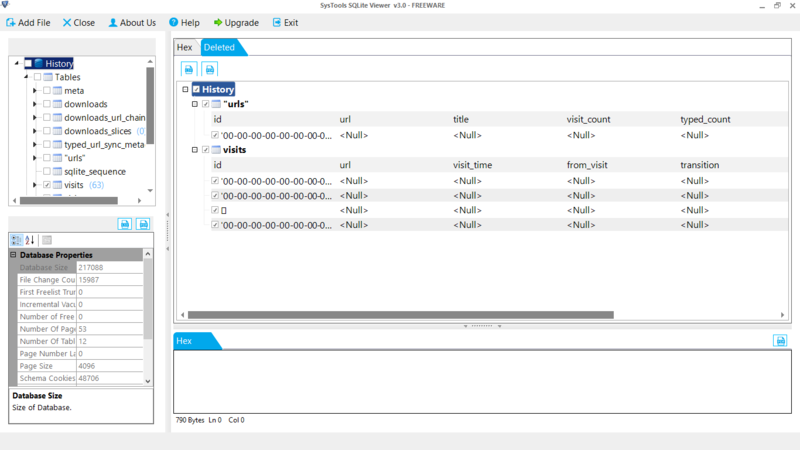 So, our SQLite viewer is designed in a way that it fixes all problems from the file and displays data in front of you. How many SQLite files can be browsed at a time to read data from SQLite files with your freeware? At a single time, you can browse one SQLite file in the free utility. 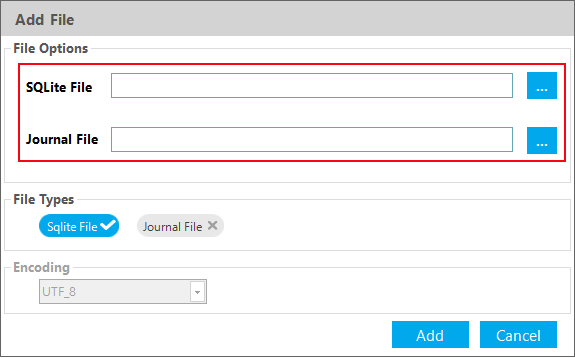 However, you will be able to view multiple files from this free utility by adding files one-by-one. Can I install the software on every edition of MS Windows operating system? 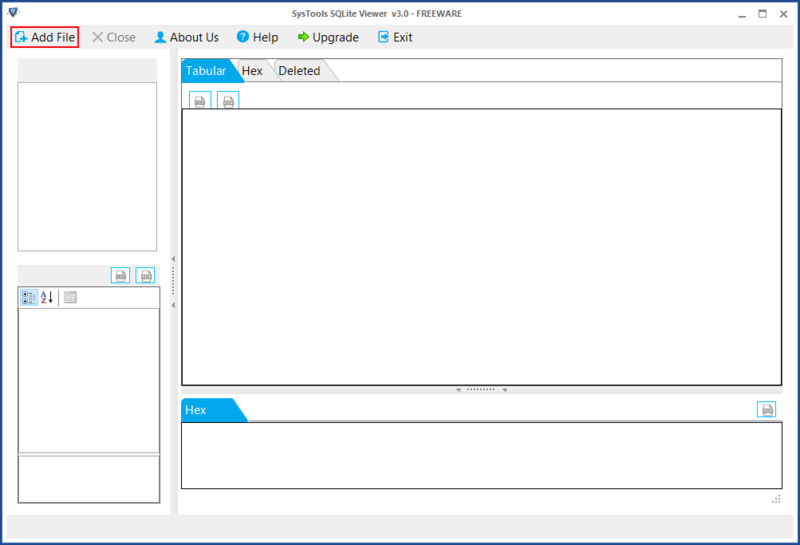 Yes, the tool is a Windows-based utility, which works upon all editions of Windows OS. The software application is workable upon Win 10, 8.1, 8, 7, and all prior versions. I have gone through many product pages of SQLite viewer but, I found this one reliable for me. It is having all those features within it, which are mentioned in the product page. I think that the software is very much helpful from all perspective whether it is official or anything else. Thank you so much QuickData development team for coming up with such a brilliant tool. I loved the way the application works and will definitely recommend it to all users who are looking for the same. SQLite Reader had made the procedure of viewing data easy and simple.